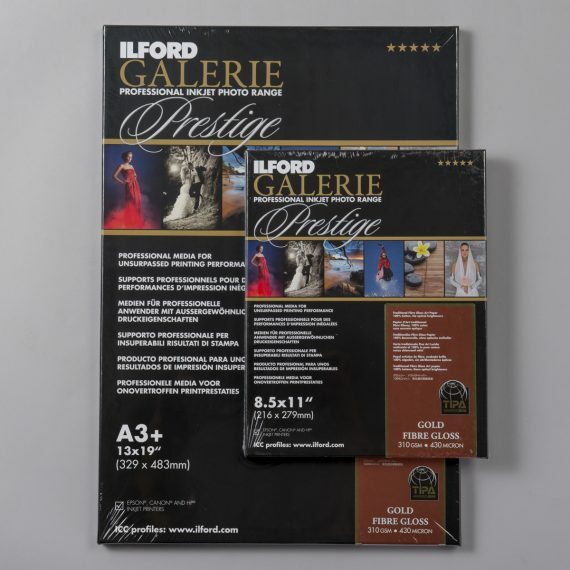 Ilford Galerie Prestige Gold Fibre Gloss 310gsm | Beau Photo Supplies Inc.
Ilford Prestige Gold Fibre Gloss is a 310gsm traditional baryta inkjet paper. 100% cotton rag. No optical brighteners. Beau stocks sizes 8.5×11 and 13×19.